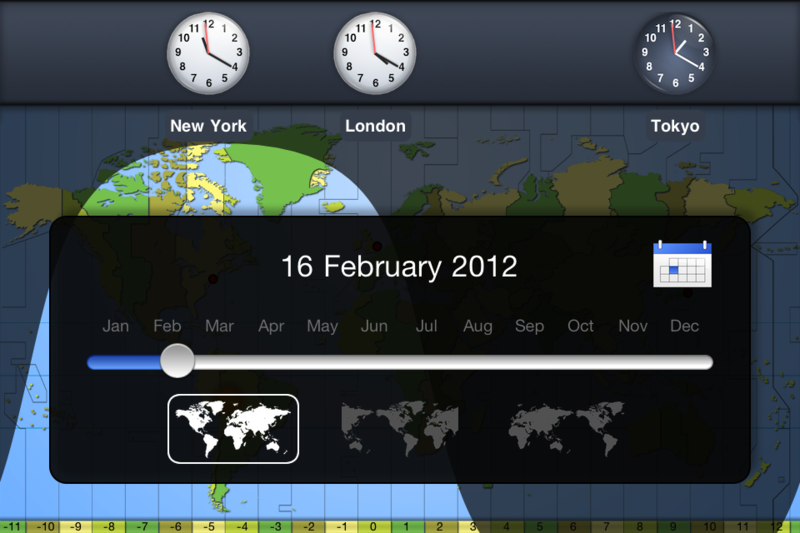 Timezones lets you know the time around the world at any time of day and on any day of the year. - When it is 12:15 in New York, what time is it in Tokyo? - When will it get dark in Paris on September 15? - What Time is it now in Mexico? 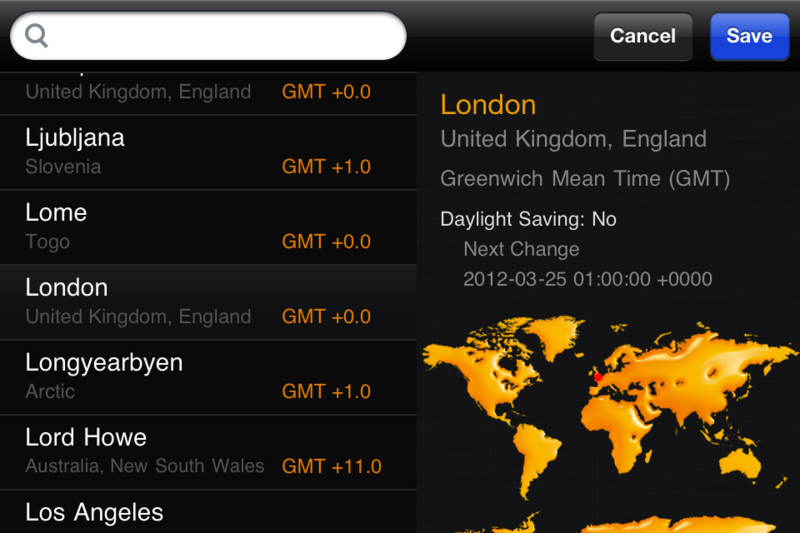 - Work out what time it will be in other cities of the world. - See when the sun’s shadow will make it light or dark. 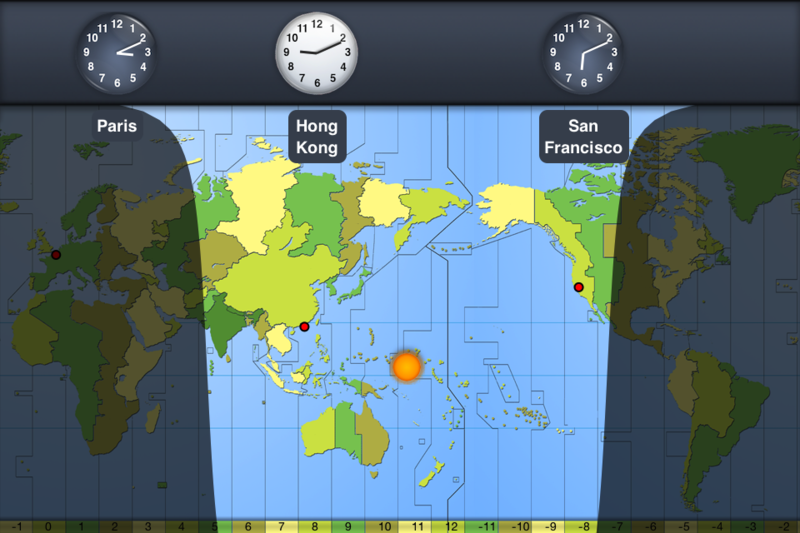 - Drag your finger across the map to change the time. - Set the central continent to America, Europe or Asia. - Touch a clock to change the City. - The clock will tick when viewing the current time. 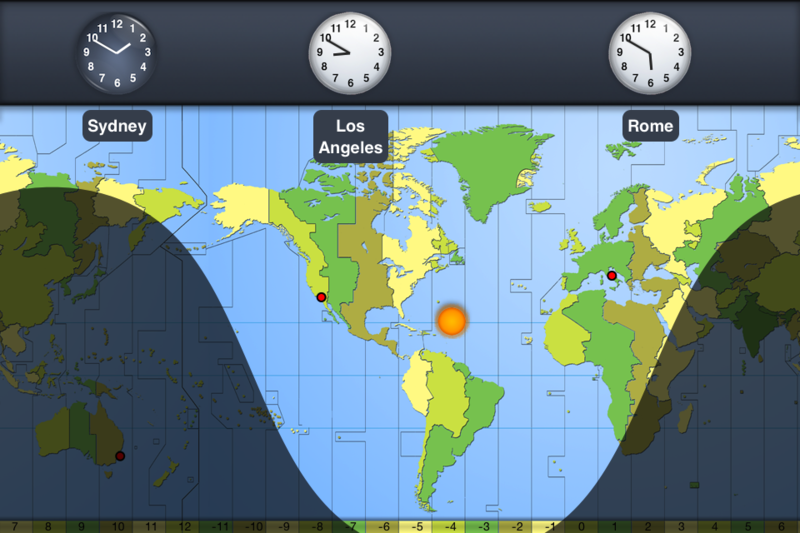 - Automatic calculation of summer daylight savings. 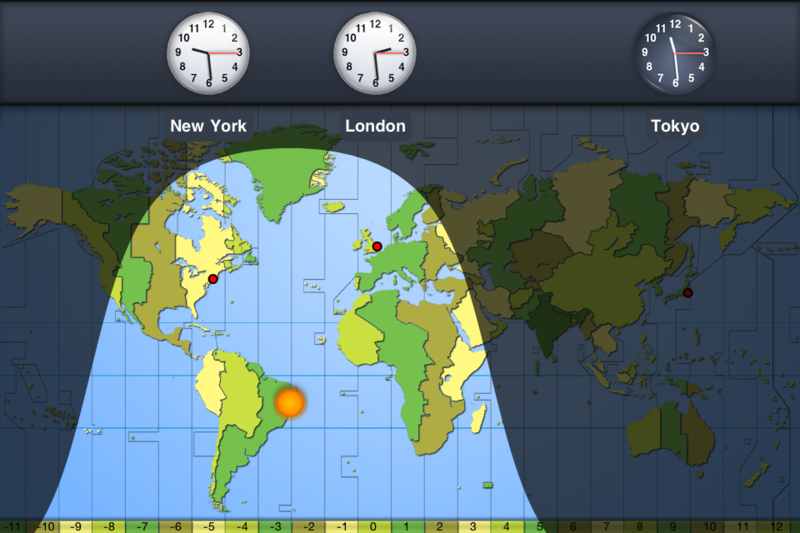 - Animated clocks move position when changing city or when summer daylight changes. - Keyword search for City, Country or Continent.